A perfect tile backsplash that is classic and refined with hints of Old World design. 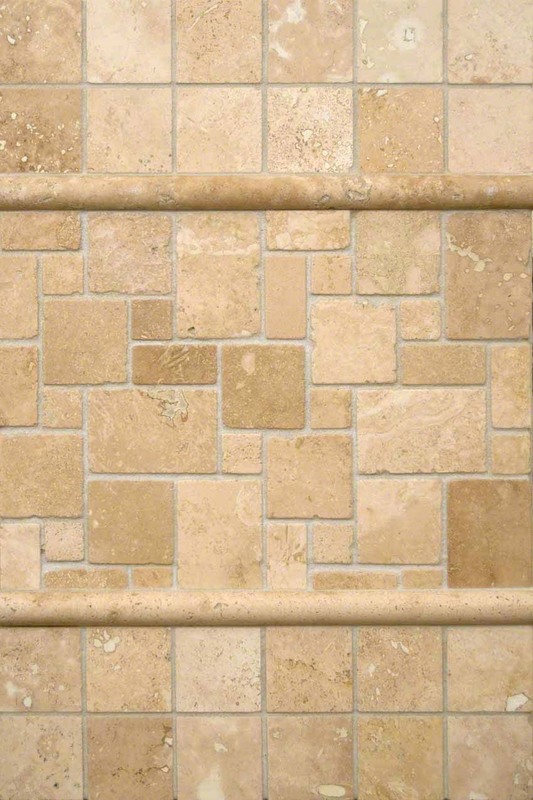 This is our Versailles Pattern Ivory Travertine Trio. Here, we have partnered Ivory Travertine Mini Versailles Pattern tiles together with matching 2x2 mesh-backed tiles to create this gorgeous backsplash kitchen tile installation. Joining these two different tiles together is a matching Pencil Molding that adds a 3D element and some character.